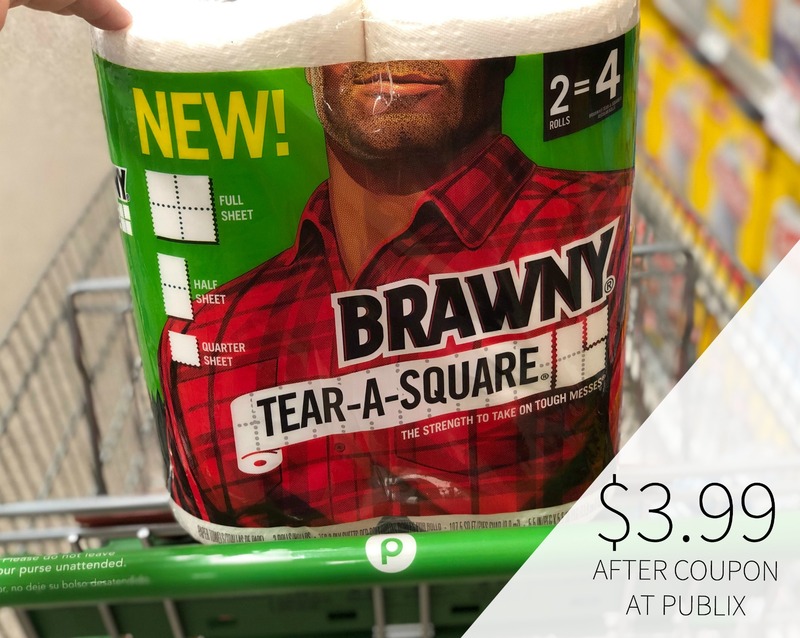 Try New Brawny® Tear-A-Square® & Save At Publix - Sale & Coupon Available! This post is sponsored by Georgia-Pacific. All comments and opinions are my own. 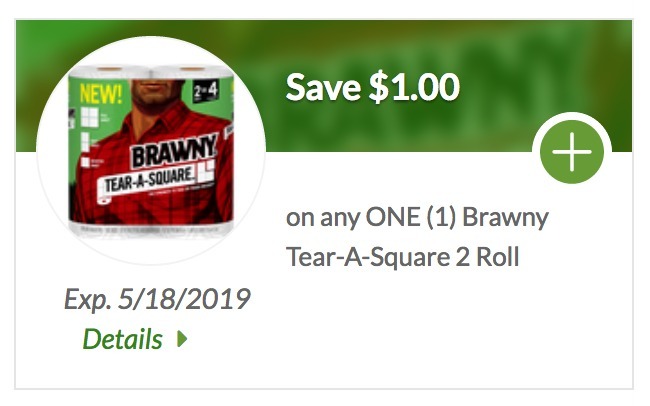 Good news guys…I spotted a coupon for the new Brawny® Tear-A-Square® paper towels. 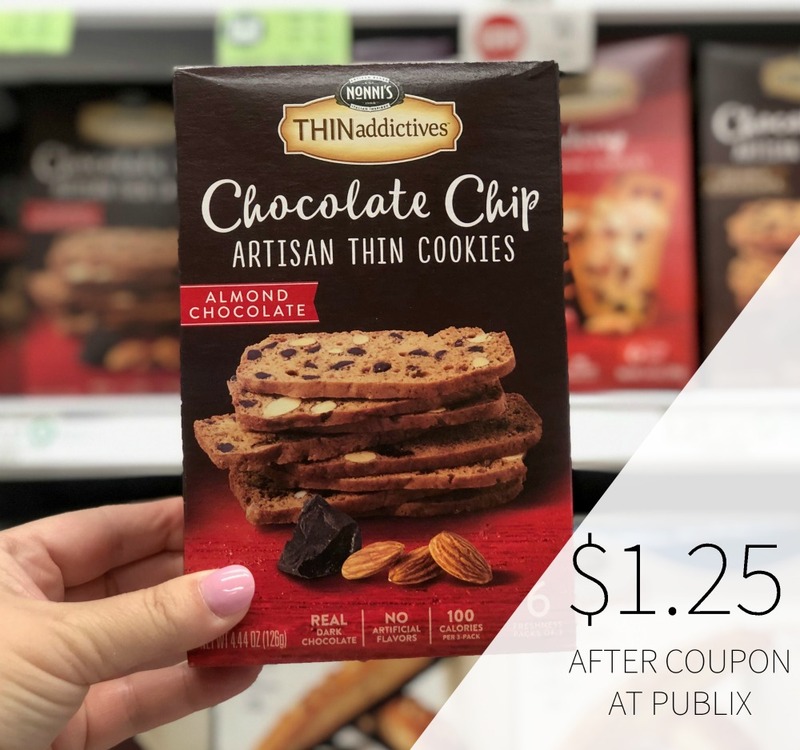 Even better…the packages are on sale right now at Publix. Load your coupon and you can try the new paper towels at a super discount. Just $3.99 after sale and coupon. These unique paper towels offers three different sheet sizes all on the same roll. That’s right, now Brawny® offers a smaller sheet size option so that you can use just what you need without the waste. 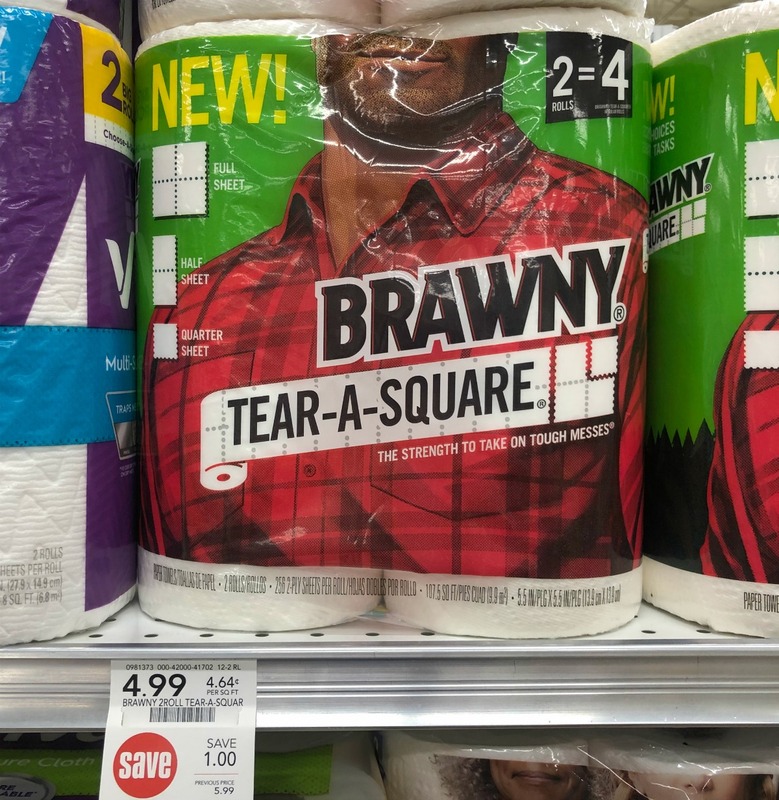 New Brawny® Tear-A-Square adds an extra perforation to the sheet, which lets you choose between full, ½ or the new ¼ size mini-sheets. So you can now choose the sheet size you need for the task at hand all while delivering the strength of Brawny®. Grab only what you need and know that with the strength of Brawny, a small sheet can handle your toughest job. Gone is the guilt of using a full sheet or half sheet paper towel when only a quarter sheet is needed. Use Brawny® Tear-A-Square™ new quarter sheet size option as a coaster or napkin, for quick clean-ups or to wipe up small spills. Be sure to load your coupon and try these at a great discount.